In the past few years, India has emerged to be the leading medical tourism destination for hair loss treatment. Lots of people come to India for their hair loss treatment. You can find numerous hair transplant clinic in India known for their quality and cost effective treatment. Delhi – NCT of India has become a hub for the leading hair transplant clinics. Being the national capital, Delhi excels in providing quality and cost-effective health care services to the domestic and overseas patients as well. The hair transplant clinics in Delhi are well equipped with all latest technologies and provide world class facilities to the patients at very competitive cost. It is always advisable to have know-how about the procedure before you going for it. Very first, you can find out your candidacy for the hair transplant. The more the comfort you feel with the doctor/ surgeon during a consultancy session, the more will be the chances for desired results. Here at Hair & Senses, you can consult to Dr. Sangay Bhutia about your hair loss issues and she will guide you through the best possible way to come out of it. She follows a comprehensive approach doing detailed consultations and counseling before providing appropriate solution to the problem. And the best part is that unlike other clinics, here at Hair & Senses we do not charge for consultation. Reference always works in very effective manner. A good hair transplant clinic surely have many good past references of the patients they treated successfully. Ask the clinic for previous work and some of their case studies if they can share may be contact details of few patients they treated before. Also, search internet database for online reviews and ratings for the doctor who is going to treat you. Customer generate content always help to take right decision. As is the general perception that hair transplant procedure is costly affair but at Hair & Senses one can be sure that they would get very affordable costing which will not make a hole in the pocket. The cost of hair transplant generally depends on the number of grafts and the type of procedure recommended. 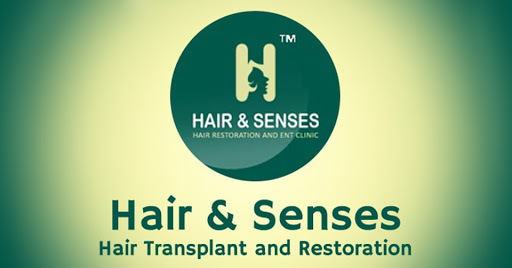 Many of the hair transplant clinics in Delhi charge on the basis of Hairs to be implanted but here at Hair & Senses, you will be charged only on the basis of the Grafts which means it is going to be the cost-effective treatment. As the doctor and the team is highly experienced and follow stringent protocols, the graft wastage is minimal. Hair Transplant in Delhi is going to be your satisfactory experience with the skilled doctor and her team at Hair & Senses. Consult today to Dr. Sangay Bhutia at 9891038822 or email at contact@hairnsenses.co.in for your free consultation.